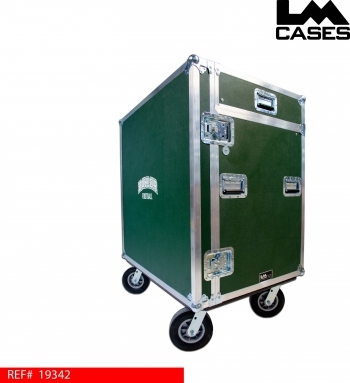 This trunk was designed for Baylor University. 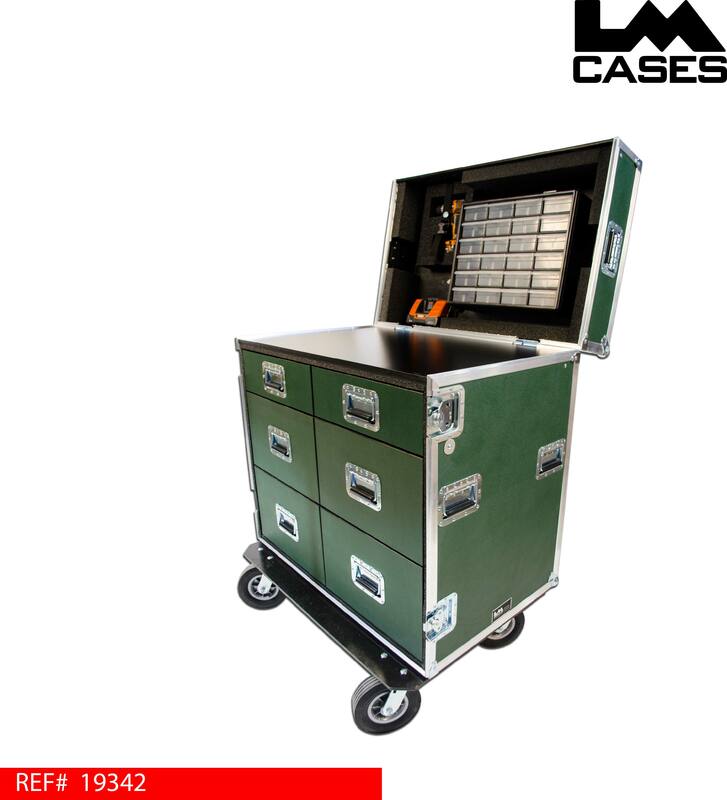 The trunk is used on the teams sideline during games for quick repair to equipment between plays and for general storage. 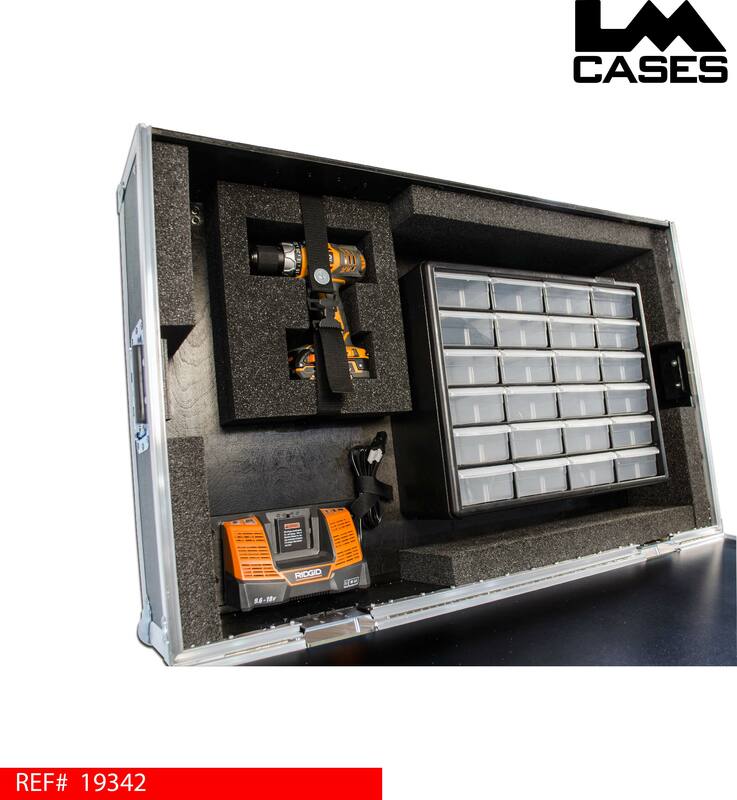 The trunk features a black Formica laminated worksurface and 6 drawers mounted on heavy duty Accuride drawer glides. All drawers are built out of 1/2" Baltic birch and black texture coated for a very strong and road worthy design. Mounted above the worksurface is a 24 drawer small parts bin in addition to a Rigid drill and charger. The exterior trunk is built out of 3/8" plywood and features 8" field casters and deep recessed handles. Special thanks to Baylor University!